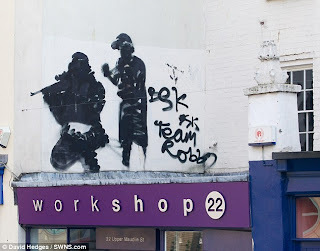 This unconfirmed Banksy stencil - now buffed from central London - will become authentic with enough circulation on the internet. It will take on a life of its own and become something unto itself. 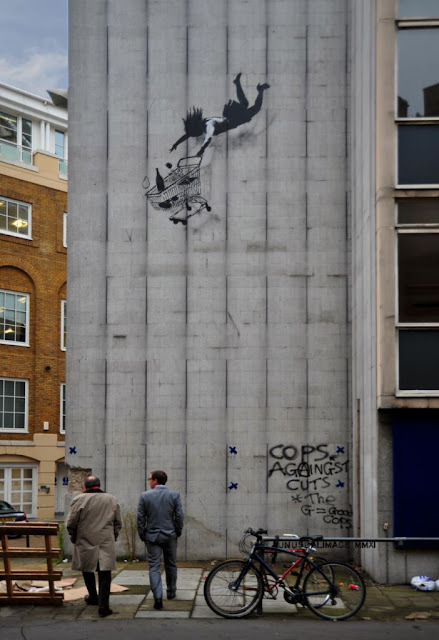 It will live on through hack blogs like Acid Midget, to the point that no one really cares whether #Banksy made it or not. 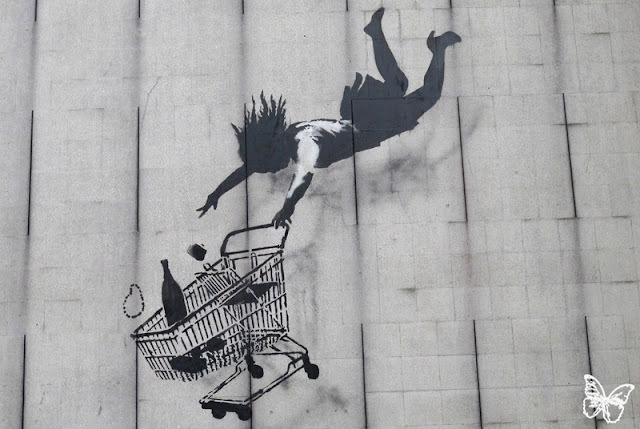 All that matters is the ability to generate trending topics on Twitter, headlines on Huffington Post and website traffic through farming highly bloggable content by the famous street artist @Banksy.